I am still way behind. 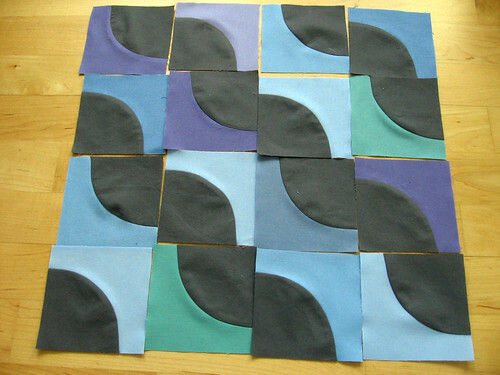 I have not even pulled fabrics for the QAL...but I do have a hint when laying out any quilt. I take a photo on my iphone and then I can refer to it for the layout incase I get mixed up or have to stop and clean up in the middle of piecing the blocks together. Hopefully I can start it this week. 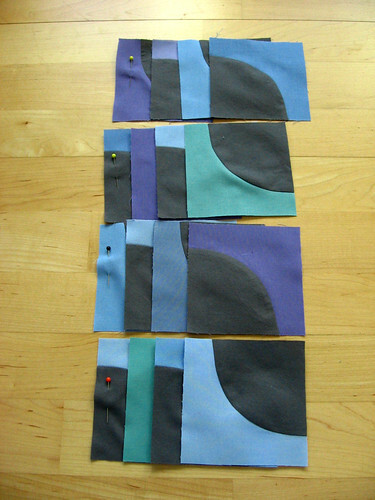 I`m all assembled and my blocks are sewn together although I`m only doing a baby quilt. Loving this QAL and your tips to sew the curves were brilliant. They went together very nicely! I haven't started cutting yet. I've been finishing up some other things first and am hoping to start over the weekend. I can't wait to see this in solids! These curves ARE driving me drink! I was really intimidated with curve sewing and kept telling myself "they aren't going to be perfect, just have fun." But with each one I do, the easier they get! Now I want to drink to celebrate success. Horray! I use this technique and love it.